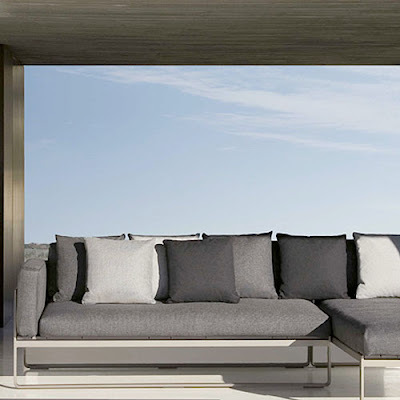 The Flat Sofa 1 was designed by Mario Ruiz for Gandia Blasco in Valencia. 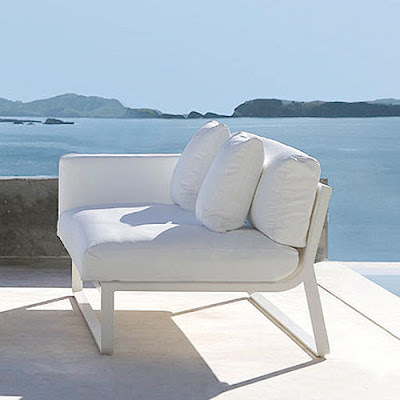 Mario Ruiz created the Flat series to complement and enhance the contemporary collection of outdoor furniture already existent at Gandia Blasco. The Flat Sofa 1 is a sectional sofa that is grand and splendid. It takes comfort to a new level, with it's fabric covered cushions available in various colors, perfect for the outdoors. 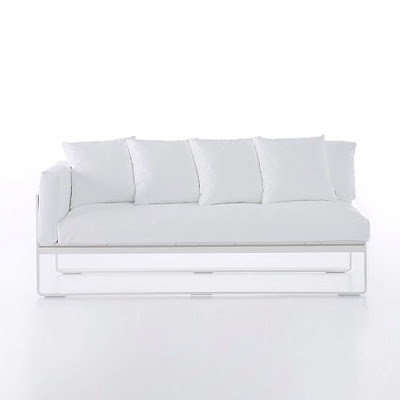 It can be used as it is or one could add pieces from the Flat Sofa collection and create a unique space outdoors or indoors. Available in either a right arm or left option, and also a frame in two colors (white or bronze).